You know you hear about those migraines that are often mistake for a stroke? Well, Mark Hutchence has those. You know those migraines that can cause paralysis? Mark has those, too. You know those headaches that are so excruciating they're known as suicide headaches? Yes, you guessed it, Mark has cluster headaches on-top of hemiplegic and basilar migraines. That's quite the triple whammy. You'd expect to meet a man cowering in pain, scared to make even the tiniest move for fear of triggering an attack. Not Mark. Mark has an extraordinary tale to tell and I first met him, and his lovely wife, back in April, at the "Living with Migraine" event organised by the Migraine Trust and the Royal Society of Medicine, where Mark was one of the patient speakers. The first thing you notice when you meet Mark is the big smile on his face and his positive and determined outlook on life. Mark is the kind of man you want to go and have a pint with. But more importantly, this is a man who took his treatment and health in hand - and didn't give up until he got the specialist care and help he needed. 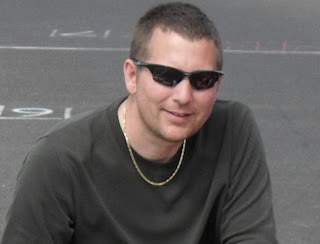 For any migraineurs out there who are feeling helpless, who are feeling neglected by the medical profession, who have been told "there's nothing more we can do for you, then you absolutely must read Mark's story below. I have had migraines since the age of seven and until my mid-thirties they were always diagnosed as 'migraine with something extra'!!! So I went on the hunt for a correct diagnosis, as in Suffolk the neurologist I was under moved his stance to stress, anxiety, or a figment of my own imagination!! Anything but migraine. 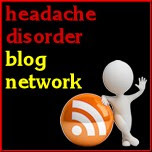 So I hit the World Wide Web and from that hunt I found several good sites - the most interesting I found was BASH, (medical professional findings on headaches). From this I found articles written by the University of Neurology and Neuroscience (UCL) at Queens Square London. In one of those articles I found an email address for a Professor Goadsby. He seemed to describe what I had, so I emailed him (he wrote back) and from this I was referred. Being referred was a battle in itself and I had to enlist the help of PALS to get the referral over to him, as the current neurologist felt I was wasting their time and nobody could do a better job then himself! In 2004 I was finally diagnosed with Sporadic Hemiplegic Migraine. In 2008 this was moved to Chronic as with the attacks, which totalled 14 days per month, I had chronic daily pain. I have been under the care of Dr P Shanahan since 2008. In 2011 I was then diagnosed with Episodic Cluster Headaches and in 2012, during respite care in UCL - which was DHE - this triggered or provoked my first basilar attack. The basilar, in my case, paralysed my right arm and everything below the waist for 10 days. I thank god I was in hospital as it scared me half to death but having the reassurance of the team helped immensely, I was told the basilar attack had mimicked a spinal cord failure!! A hemiplegic attack can seem frightening to anyone watching, as it looks like a stroke and matches all key systems. In my case right sided weakness and numbness, dropped face and slurred speech with a phobia to light. The Cluster headaches, in my case, were four attacks per day at the same time each day, which is common. These lasted for 18 months. I don’t know how to describe the pain. Towards the end of 18 months it became like a plane preparing for a crash landing. Getting myself comfortable was difficult, having to lie down, high flow oxygen at the ready, the attacks lasted, using high flow oxygen, around 20 minutes, 45 minutes without the oxygen, I can truly see why these are called suicide headaches. Over my time with UCL I have tried a multitude of tablets, triptans and tried numerous block injections, these are Greater Occipital Nerve injection (GON) for me they worked for about two weeks then faded, multiple cranial block worked for about a month. GON is in the occipital nerve just below the ear canal either in one side or both sides on top of the occipital nerve, it feels and sounds really strange, I have a single injection in each side. The Multiple Cranial injection is like Botox, you have 25 injections in the forehead, temples scalp it cover all the major nerves, it’s an anaesthetic based injection with something else so after a few injections you cannot feel it. Whereas Botox is 32 injections, without anaesthetic, but in very small doses in a halo pattern follows the same path as the cranial block but extends down the neck and into the shoulders hence more injections. For me GON worked for about two weeks then faded, multiple cranial block worked for about a month. I have been more than happy just to have a break from the pain. UCL made me aware the blocks were not a cure. The process was a little uncomfortable, but it was great to escape the pain, however briefly. For anyone reading this and trying to understand the pain, my brother-in-law saw one of my attacks at full flow whilst I was in UCL. He told the consultant that it was the worst pain he had ever seen any human being in; he was a Chief Fire Officer in central London for 25 years. The migraines and cluster headaches do impact on my life. I work full time but it is a delicate balancing act and with flexi work it can be achieved. However, it does raise a lot of questions every time I go off work with an attack. It also effects my home life and family events. I try to manage my life around the attacks so if I have any event I am aware the next day I need to give myself time to recover. I have fought it for years but in recent years I learnt to trade off days and that works for me. I would say to anyone with migraine that life is not easy by a long way. It’s one of those conditions that gets the flippant shrug off. However, in order to get the correct diagnosis and support (outside your family) means you have to sometimes fight. I am under UCL and to date I can’t fault their support to both my wife and I. My recommendation to anyone just starting this journey is to write a diary and track the pain score of the attack, note food, drink, type of day you have had, weather, hormonal cycle for a month etc, this should help you build up a picture. Migraines are complex and this includes triggers. There is no magic tablet or cure and I have tried multiple drugs, some with better affect than others. I am now on Botox and it has made a huge difference but it is a stop gap and in my case an excellent one. Mark, thank you so much for sharing your incredible journey with us. I'm sure I'm not alone in wishing you every success and luck with the Botox and upcoming treatments, you're a true inspiration! Mark can be found on twitter at @MnHutchence and I know if you leave comments or questions below he'll get back to you as he can. I think we can all take a leaf out of Mark's book in his positive outlook to life, and in his determination to seek out the right healthcare team. Go Mark! Do call the information & enquiry line if you have queries about any of the topics raised in the above post. 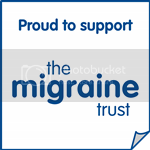 The Migraine Trust's website also has links to migraine clinics throughout the UK. Such an inspiring post, thanks for sharing Mark! Thanks so much for sharing your experience Mark - I can only imagine how horrendous it must be for you. I can't even believe you manage to work full time - that's amazing! So glad to hear you can still enjoy the good days. Thanks for sharing your story. Certainly puts my migraines into perspective. Hi K - Mark's story really does inspire doesn't it. So glad you've found migraine monologues - welcome! Thank you for sharing. This gives me hope. I'm going for my Botox injections next week. The insurance finally approved it.